Removing energy blockages, loving and compassionate, Remembering Who You Are. Lemurian Seed Crystals are crystals that are reputed to have been left by the Lemurians, an advanced ancient civilization, to teach and guide us in this time. These crystals are said to have been programmed with conscious connection and love. Lemurians hold and transmit messages of unconditional love, equality, and spiritual teachings. They are also great for dream work and dream interpretation. Lemurians have a very Yin or feminine energy, and for all their power are more gentle-feeling energetically than Yang/masculine crystals. They are very powerful tools for meditation and for healing on all levels. They are excellent for clearing and balancing all chakras. Lemurian Star Seed crystals are “master” crystals within the Crystal Kingdom. Within the planetary hologram they are linked to all other crystals. 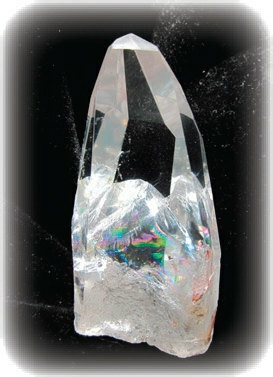 They transmit to these crystals the message of Oneness and Unity and Love. That was the key energy of Lemuria. This is their work, to reactivate within the planetary matrix this ancient memory of Oneness and Unity so that it may become the way of life on the New Earth.